The “Posts By Date Range” plugin makes post filterable by date. 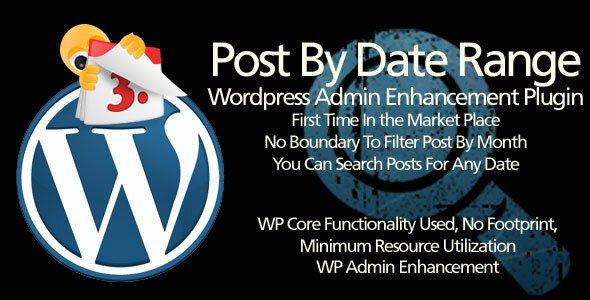 No boundary to filter post by month, you can search posts for any date or date range. It can filter any type of post/page/custom post type and then builds the necessary interface using WordPress core functions to properly utilize it. Zero (0) Configuration and extremely simple to use!